Here we are! It’s January and that means a new anime season has begun! I’m starting this season with 21 series and my hope is to narrow it down to six or seven to keep up with to go along with Fall leftovers: Golden Time, Samurai Flamenco, Kill La Kill, Nagi no Asukara, Ace of the Diamond, and YowaPedal! What I’m going to do, since I am way behind in this, is go through each week as planned, however Week 1 will have only the series that I dropped. Week 2 will be covered as normal but will be episodes 1 and 2 of the remaining series. I just wanted to make sure you guys aren’t stuck with massive walls of text. So. Let’s see what didn’t get past the first week! 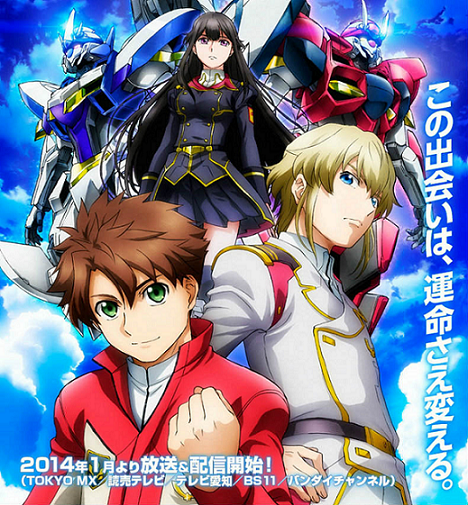 Here we have the typical Sunrise Mecha series we normally see from this company by now. For some reason, I got vibes of Code Geass out of it. Not sure how or why, but I did. But I don’t think I’m going to move this one to week 3, or week 2 for that matter. It’s not bad, I mean the animation is rather nice and all, but the story is a little convoluted for me. We don’t have any background of our main character except for him being really nice and rather naive as most mecha main characters are (at least from what I’ve seen anyways). Then there’s a few little holes towards the end of the episode that have me extremely confused, mostly with the time travel, “where’s Hina?” department. It just feels kind of boring and more of the same old, same old. Sorry Buddy Complex, you’re not for me. But good on FUNimation for picking this up. Someone will probably love the show. After watching the first episode of Magical Warfare, I’ve been rather conflicted. It’s better than Witch Craft Works, which I’ll get to in a minute, but I’m not sure this is one I’d be willing to keep up with. As of now, the story hasn’t given us much and uses some cheap methods in order to introduce our major group of characters to us. It does have some interesting ideas like how you become a magician and the mirror world magicians live in, however this one still has something missing and it’s bugging me. 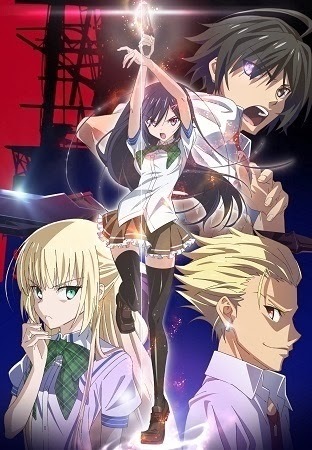 Maybe I’m annoyed with magic this season or maybe I just can’t put my finger on it, but I don’t think Magical Warfare is my kind of show this season. I’m going to drop this one here, but I may pick it up again some day. Alright, so we have a RomCom with an arranged marriage going on. Humm..... It’s not bad. It has it’s moments where it’s really cute and sweet, but the plot hasn’t gone any where as of now and the main male character is really flat. I would hope that he opens up a bit more throughout the series, but I don’t think I will find myself watching this one anymore. 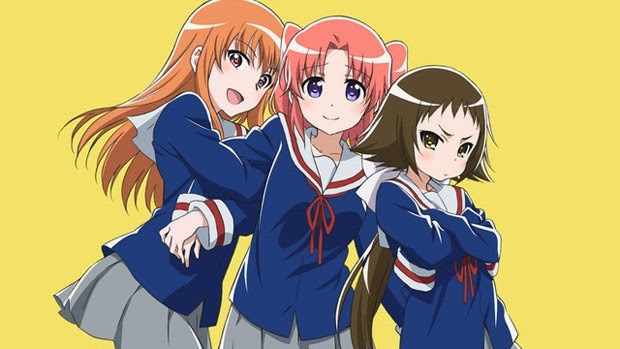 As cute as it is, the comedy isn’t really the kind I’m interested in and, again, we have a boring character mixed in there. I’m sure I’ll go back to it sometime, just not now. Alright! The first Oda Nobunaga series of the winter season! Let’s see how this one is! ....... Yeah this one is a little..... Uhmm...... Dull. Both Nobunaga series seem to be using other historical figures in it, and in this case it’s actual figures like Joan of Arc and Da Vinci. It’s not a terrible start to the show, but I don’t think this one is very interesting to me. It takes nearly the entire episode to get the plot in motion, only to leave off at the last second. Now this isn’t necessarily a bad thing since it gives us time for some world building and introductions to our major characters. However, this also seemed a little flat and boring to me. Nobunaga the Fool just didn’t do it for me, so it's time with me ends here. There are a lot of things mixed into this one. First a retired idol, then a farming school, and lastly a wide array of characters that range in stereotypes. I think it’s these many factors and stereotypes that I don’t find interesting in this series. There are times where it does work out well, yet I can’t tell if Nourin will manage to improve over time. There’s a lot of rehashing going on with this series that I’m not interested. 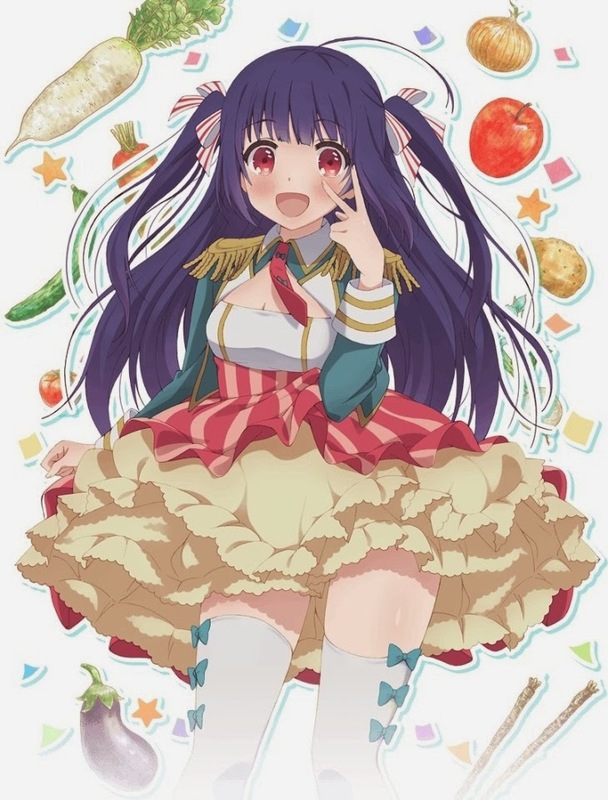 To be fair, some of the humor was amusing such as the vegetable packages to Yuka, however I still can’t see myself watching this one this season. Out of the shows FUNimation picked up this season, this and Buddy Complex are probably the weakest. You can’t win them all, I suppose. I love magic and witches and things like that. Yes, I’m one of those kids from the big Harry Potter days. 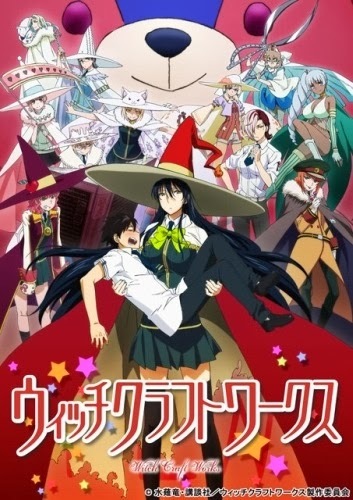 So when I heard about Witch Craft Works, I thought it would be a fun love story with magic in it. I was right, but it was not what I had hoped for. I admit I did have a laugh once in a while, but the episode felt extremely long and really dull. But the biggest problem I have is Kagari. Her character was extremely flat and boring that I didn’t like it at all. I get the idea that she may not understand the real world and everything (at least that seems to be the route they’re taking), but it doesn’t make this any better for me. 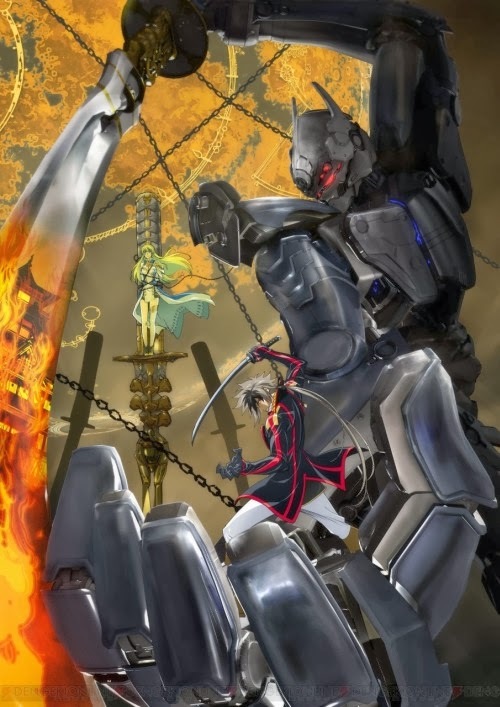 With all that said, Witch Craft Works is not going to Week 2 for me. I just can’t take another long, boring episode. 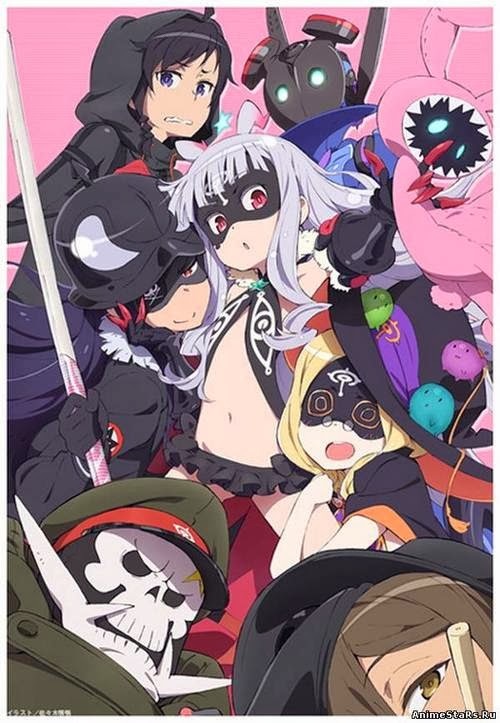 Now I get the whole Loli conquest thing that I’ve been hearing about. I just can’t take this one seriously, neither in an actual serious way or a not so serious way. The first episode was just all over the place that I can’t really focus that well and am completely turned off by it. This isn’t the worst thing I’ve seen this season, thank goodness, but I’m sorry I just can’t see myself watching this one for the rest of the season. I know this section is kinda short, but there’s just nothing I can really say about this one except I don’t like it and I don’t want to watch it any more. The last time I saw something to do with cards, it was Yu-Gi-Oh. 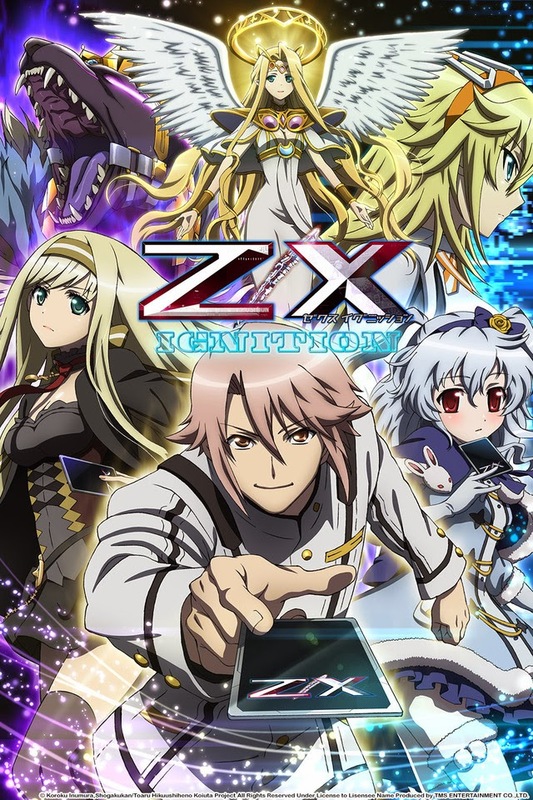 So when I read the short summary for Z/X I thought it was going to just be another card game type of show. Of course I was wrong. There’s a lot of world conquest (what’s with that theme lately anyways?) and for some reason this just fell flat for me. This is probably due to how the first episode was set up. First exposition, then present day, and lastly a flashback. It’d be fine if it executed properly, but Z/X does no such thing. Sadly, this one is getting dropped as well, since I don’t see this as one I’d be excited to watch every week. So those are the series I dropped after one episode! That puts me down to 11 series! I'll be posting Week two some time this week and the Week 3 to follow! Until then, otaku on my friends!